Quote Reply Calendar Event: Fall Color Tours 2014! Welcome to all you Flatfender Fans! 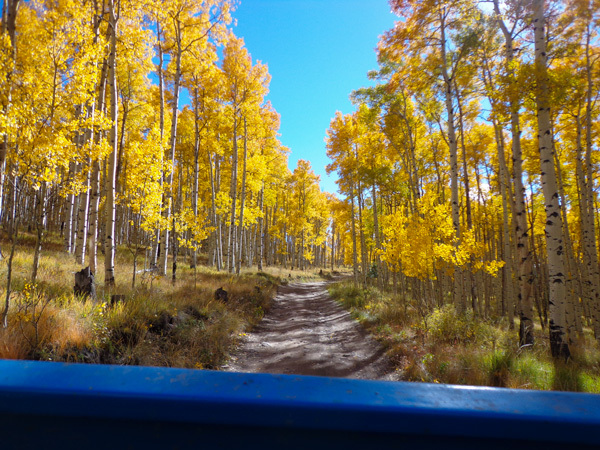 It's time to make plans to join the 2014 CFFC Fall Colors Tours! This year we'll hit the peak of the fall colors during the week of 22-27 September! 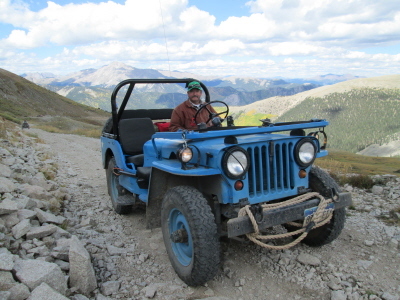 I would like to personally invite all of you reading this to join me for a grand week of making memories, taking photos, driving Willys Jeeps, and sharing some comraderie with the best folks on earth - other Willys owners! For those who have never been to the FCT, what kind of colors are we talking about? There's an example below. As always, we'll open our home to everyone who attends. Camping is available here on the Thirsty Dirt Ranch. There's lots of great hotels, motels, and B&B's in the area for those who prefer some comfort overnight. What in store for us this year? I will explore some new ground again for this year, and I'm thinking about a "two-pass" ride that will take us over the Continental Divide and back again on a day-long tour. We'll also experiment with a Willys First Aid Kit containing some spare parts to keep us ALL on the trail and moving. If you've never been here then we'd like to welcome you to a great experience. 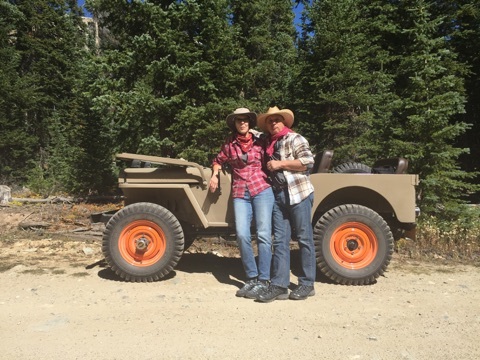 Just ask our returning Willys Wranglers. Its the best time you'll ever have with your Willys!! So mark your calendars and start making plans to be here! Unfortunately I couldn't edit the above post to make it complete, so I'll add the photo that was missing to this post. This is the kind of color that we look for on the FCT. Also I'd like to credit Haines Garage with the photo of me in the first post above. So pack your bags and get out here to the Thirsty Dirt Ranch for the adventure of your lifetime. Count me in! What hotels are closest to the daily launch point? M38mike, count me in as well, and will bring plenty of spare parts, very much looking foreward to the trip, I have not been to the great state of Colorado in many years, and have never been to your area. I will also need hotel info. Welcome Realdeal and Lee! We'll be glad to have you along with us this year. For lodging the Buena Vista Chamber of Commerce has about 30 places they list in our valley. There are a few listings for Twin Lakes and Leadville. Avoid those only because your commute from there to the Thirsty Dirt Ranch would be a long one. For something very close to the ranch, look for a Nathrop address. Here's a link to the BV-CoC lodging site. Here is the link to the Salida Chamber listing of hotels and motels. These are about a half hour drive from the Thirsty Dirt Ranch. And as always we'll have the campground set up on the ranch for those who want to keep costs down and have the gear to sleep outside. I did set up a tent for a trio of travellers last year who did not have the gear to camp. If we need to we could do that again. Jpet had the most unusual camp setup last year, and one that worked very well - as long as the wind didn't blow too hard. I'm looking forward to see what improvements he makes to it for this year! It was quite the setup with 2 private bedrooms, a full kitchen, a fireplace, and a patio where folks collected in the evening to join voices in song. My frame horns are kinda, sorta, just about, almost somewhat straighter. I'm sure they will be better by September. We'll be getting home from a bike ride in Tuscany on the 20th, so with the jet lag I may still mess it up again! Green Disease, Jeeps, Old Iron! Guess I'll be watching from my computer again this year - My plans were to have the 49 ready and running by September but found out yesterday that there is a stupid trade show in Chicago that I must attend that runs 4 days - this work thing really is interfering with my play time! I know that the reports will be just as good again. Keith, I'm glad to hear that you'll be with us again! You're skills at repair and installations were a huge asset last year. I'm very glad to have your knowledge and skills on our team again for this year. Welcome back!! Terry, I expect you to ride your bike VERY CAREFULLY while you're in Tuscany! I don't want to hear about you going to the hospital instead of the local hotel for the color tour. As for the jet lag, you just need to get Ginny to drive for a while so you can take a nap. Now Bruce, we planned FCT around the muzzle loader season just so we could RELY on you to bring some fresh game meat to the grand feast for FCT. Don't let us down Pard!! John, I'm hoping you can spend more than 2 days on the ground. I know we'll talk calendars when we get to your place in June, but I'm hoping you'll have it all figured out to spend the week with us in September. Tumbleweed, I'm thinking that you need to take a detour on your return trip from Chicago thru DIA with a rental car to get up to my place. Just 3 hours west of DIA. We've got lots of empty seats so a ride is no problem. We just need to get you here. Don't break our hearts and sit on the sidelines for this game. "Now Bruce, we planned FCT around the muzzle loader season just so we could RELY on you to bring some fresh game meat to the grand feast for FCT. Don't let us down Pard!! " Bruce, I've got all the butcher shop tools we need to slice and dice, and plastic-pack in air-tight packages. I've still got blood stains on the shop floor from my elk in November. I've got a Little Chief smoker we can use to smoke up some meat, and a dehydrator too. Even have a meat grinder for making burger. Speaking of burger, we made meatloaf out of 2 lbs of elk last night. It's already gone, no leftovers! Yum! We've set aside about 6 lbs of elk burger for Steve's elk chilli for this year's FCT, packed it special so we'd know what it was for. And besides all that the dogs like the bones and the magpies love the trimmings. Wow, the excitement is building fast and early. I created a website just for you all. Links on the right side are to local websites to help you find lodging, etc. Links on the left side are some of the popular trails we like to travel with the CFFC or with our family. 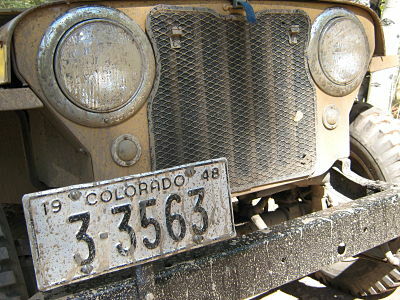 Be sure to see what jeeps m38Mike has, cuz that's what I'm a "MuM" to. Lisa and I are planning on being there again this fall. Hopefully nothing will come up to change our plans between now and then. Just confirming the dates. In years past, there would be a trail ride on the Saturday at the end of the FCT. The 27th is listed as the last day, which is a Friday. you might want to consult with a 2014 calendar, like the ones that Ricco79 produced. I think you will find that the 27th of September is a Saturday in 2014. Well son of a gun. Well, none the less, I'll be there!! I might have a different, or an additional Willys with me this year.